In 1964 the French company S.E.V. 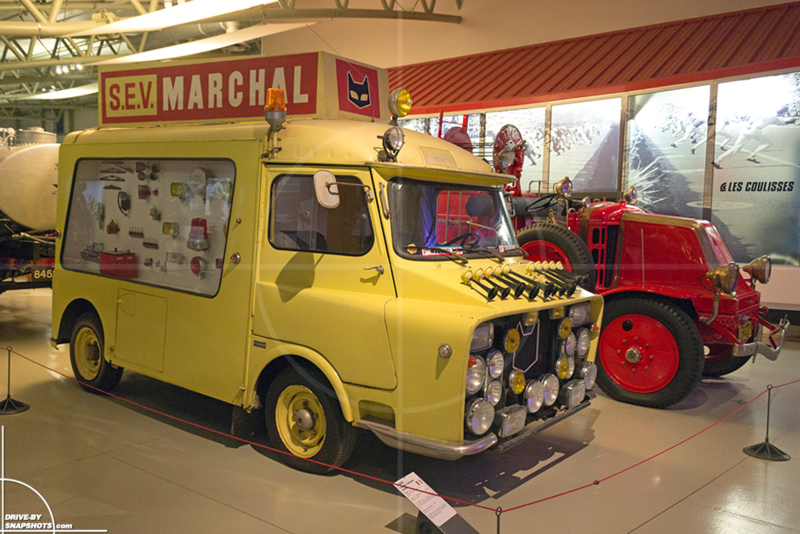 Marchal, who manufactured many automotive products, commissioned a re-bodied version of the Citroën HY to serve as a promotional vehicle and a showcase for their range of products. 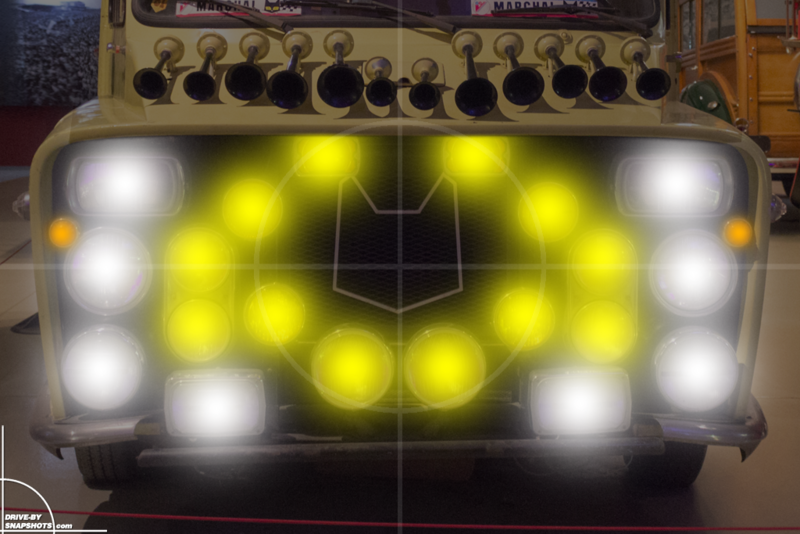 Therefore, it was equipped with many lights and horns from the portfolio. 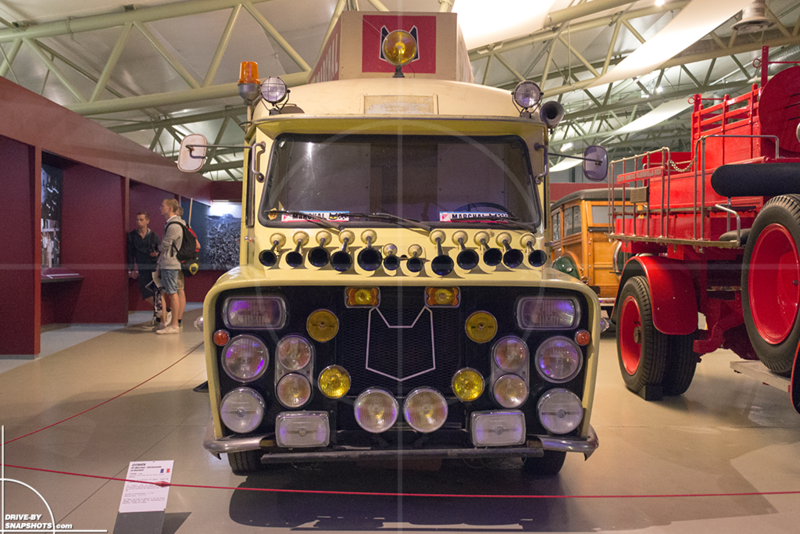 The front of the vehicle is impressive and you might wander what kind of generator they used to power all these lamps? 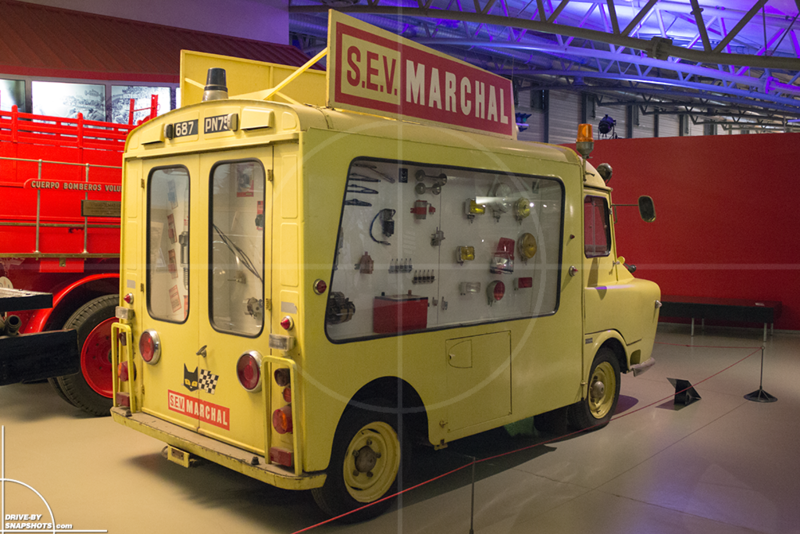 The sides of the vehicle have been converted to display cases with assymetrical windows and the rear features various stoplights and taillights. It seems fair to say that it lacks a bit when compared to that front-end. Note that most panels of the van are made from flat sheet metal instead of the signiture ribbed metal that makes the HY so easy to identify. The flat panels really change the overall appearance of the HY and makes it look a lot more modern. Just for fun, I tried to imagine what it might look like when all the lights are on. Impressive, n’est pas?